Is Hiking along stunning trails or Camping in the wilderness for a few days your idea of sheer bliss? If you are like my wife and I you will be avid outdoors people who just crave for the weekends to get out there into the wilderness for some adventure. We are always up for and actually seek out new and innovative hiking or camping gear to test out, its fun and it’s exciting. This brings us to today’s post. We recently came across the new Tentsile tree tent, it’s kind of like a cross breed between a regular tent and a tree house. 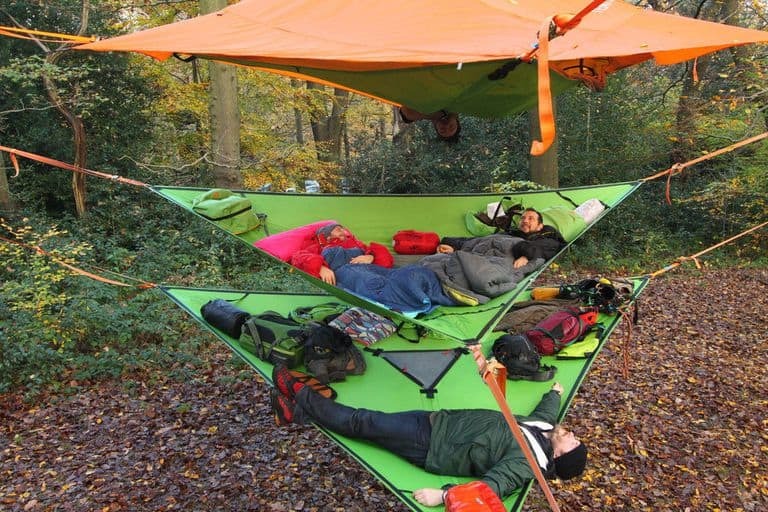 It looks weird and takes camping to whole other level (quite literally). Designer Alex Shirley Smith had a dream from a very young age to design and build tree-houses. This dream stuck with him throughout school and onto University where he studied Architecture. Fast forward ten years and his dream had developed (through learning about the ongoing destruction of the Amazon rainforest) into Tentsile. Pitching a standard 3 person Tentsile takes around 15 minutes and it’s probably the most fun we have had camping to date. We pitched ours about 2 meters from the ground for our first time testing these crazy tents out. We found the 3 person Tentsile ample for us both and to hold our gear also, but there are two and one person Tentsils available on amazon also. Prices go up as you would imagine the bigger they get. With a little imagination, you can camp virtually anywhere as long as there are at least 3 strong enough trees in the suggested area. Camp over a stream, no probs, camp on the beach between some palm trees, you betcha. They are awesome, very secure and you leave almost zero footprint. 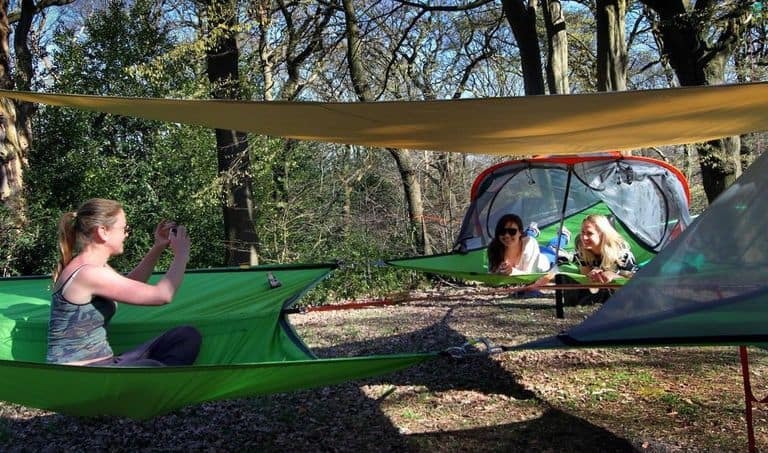 Watch The Video Below Of Tentsile Tree Camping In Action! Read More About The Tentsil Tree Tent On Amazon.com Below. If you have used one and do not mind sharing your experience we would love to hear all about it. Please drop us a comment in the section below.